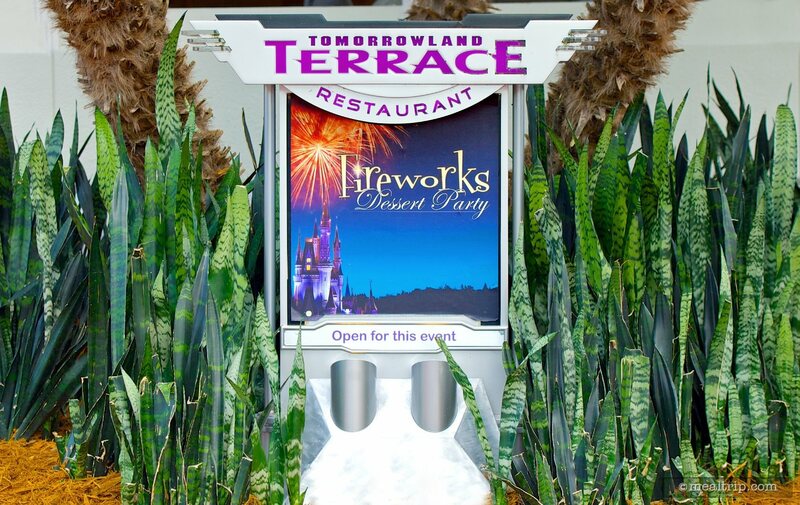 The Tomorrowland Terrace Fireworks Dessert Party takes place on a covered patio adjacent to the aptly named but only seasonally open Tomorrowland Terrace counter service restaurant. 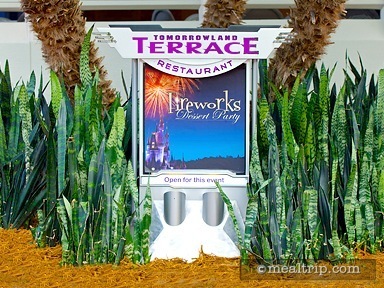 The location offers a virtually unobstructed view of Cinderella’s Castle and the Wishes Nighttime Fireworks show. Several buffet tables with delectable desserts are set up with juice, milk, coffee, and tea also being offered. The selections do change from time to time, but usually include chocolate covered strawberries, various mini-pastries, cookies and fresh cut fruit.